He’s one of the nation’s most recognized Black intellectuals, whose teaching career has landed him at Columbia University, Morehouse College and his alma mater, Temple University, where he currently holds the Steve Charles Chair in Media, Cities and Solutions. He’s a regular on CNN, offering provocative commentary on a range of issues from politics to reforming the prison industrial system. 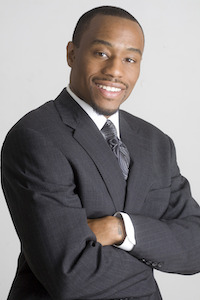 Now, Dr. Marc Lamont Hill is the owner of a Black bookstore, located in the heart of Philadelphia’s Black neighborhood. “This is not a vanity thing,” says Hill in an interview with Diverse, adding that he will be involved in the day-to-day operations of the bookstore, including selecting the books that will line the shelves and working behind the counter as a barista. Haki R. Madhubuti, who founded the Third World Press—the oldest independent publisher of Black thought and literature in the country—was an early influence on Hill. The books that he published were a lesson to Hill that “Black people published and produced ideas, not just experience” and that “we had the capacity to do any and everything, and that we already had,” he says, adding that he was introduced to topics and people that he would never have met. For Hill, the establishment of Uncle Bobbie’s Coffee & Books is a dream come true. Named in honor of his uncle Bobbie, who was born in 1917 and served in War World II, Hill developed his racial consciousness from long conversations with his uncle who died in 1994. “He meant so much to me. He was one of my earliest literacy sponsors,” says Hill, who recalls spending time at his uncle’s house where Blackness was on full display. “I was surrounded by Blackness,” says Hill. “Black ideas, Black pictures, Black conversations, Black food,” he said, noting that Ebony and Jet magazines were on the coffee table and photos of the Rev. Jesse Jackson and Dr. Martin Luther King Jr. adorn the wall. He remembers his uncle giving him a copy of Dr. E. Franklin Frazier’s Black Bourgeoisie. Hill’s decision to open a bookstore comes at a time when independent bookstores are struggling to stay afloat. He says that there are currently only 54 Black bookstores in the nation, dramatically fewer than a few years ago when there were more than a hundred. Hill, who is conducting research on Black bookstores, sees this latest venture as an extension of his scholarly work. He says that he was intentional in situating the store in a Black neighborhood. Although prominent writers are expected to pass through, he plans to showcase local and community talent and encourage emerging writers by creating a space for the exchange of ideas.